HILLSBORO, Oregon – The Hillsboro Hops scored all six of their runs in the first three innings against the Ryan Dease and the Spokane Indians in a 6-0 victory on Sunday. The Hops have won the first three games of the five-game series. Spokane (6-11), shut out for the first time this season and now on a four-game losing streak, plays two more at Hillsboro (11-6) before returning home Wednesday to start a three-game set against Tri-City. Dease (2-1) won his first two Indians starts, posting a 1.50 ERA, but Sunday was tagged for a two-run triple by Joey Rose in the first inning, a solo homer by Francis Martinez in the second and a three-run homer by Jake McCarthy in the third. Dease was done after four innings, giving up seven hits and two walks while striking out three. Cole Uvila threw three scoreless innings and Sergio Suarez one for Spokane, neither giving up a hit. 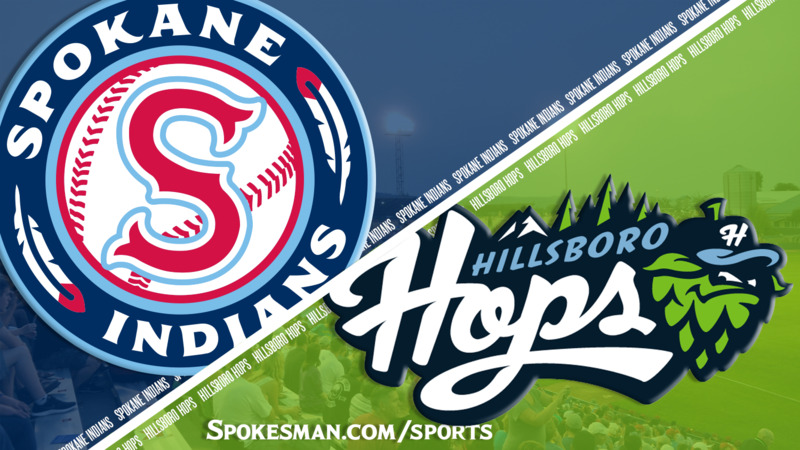 Four Hops pitchers, led by starter Matt Tabor (1-1), combined to blank Spokane on five hits, two by the Indians’ No. 9 hitter, Tyler Depreta-Johnson. Published: July 1, 2018, 7:01 p.m.